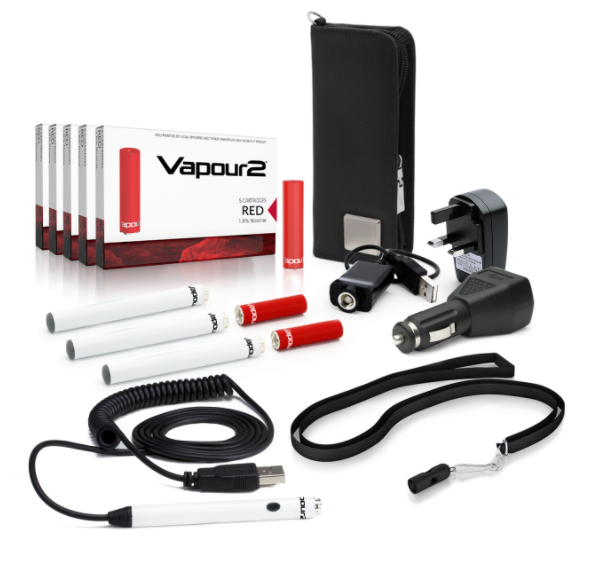 V2 Cigs is arguably the most popular brand of e-cigarettes on the globe. With everyone raving about V2 Cigs, we had to test their products. Do they really stand up to the quality we would expect? Let’s see below! Battery Performance: Proprietary technology. Max 4.2v on all V2 Cigs batteries. 5-12 hours of usage (on a full charge) depending on which battery you choose. 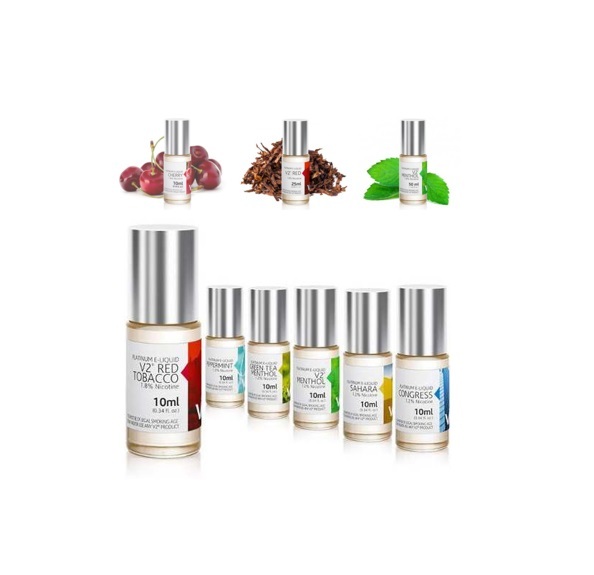 Vapour Volume: Rated as one of the most consistent vapour volume brands on the market. Throat Hit: High quality flavour + vapour volume + battery peformance = best in class throat hit. Flavour Quality: 12 pre-filled cartridges or e-liquid 10mL bottles. Minimum 300 puffs delivered on pre-filled cartridges. 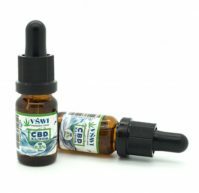 10mL bottles will last 3-7 days depending on usage. Nicotine Info: Lab tested and retested. Batch number provided. Four options: 0%, 0.6%, 1.2% and 1.8%. Size and Dimensions: Compact average 79x110mm; 9.25mm diameter. Pro Series vape pens slightly larger: 129-143mm length, 15-34mm diameter, 650-1800mAh, 54-119g weight. We ordered the V2 Cigs Standard Starter kit. When the package arrived, we had one word in mind: WOAH! This was the largest starter kit box we have ever seen. We thought that perhaps V2 added some extra accessories for us, but low and behold, we were wrong. That is simply the way V2 makes it, perhaps because they want to stand out and make a first impression (and they certainly did). This V2 kit is very similar to the Green Smoke Express kit. It has a magnetic flap to hold the box intact. Two batteries are laid out elegantly when you open the kit while the cartomisers and chargers are in the underbelly. The logo is sleek with their catch phrase next to it that reads “Your Life. Version 2.0.” Aside from the mammoth size of the box, we were very fascinated with the stylish design and packaging. Like Green Smoke, V2 Cigs also upgraded to the KR808D battery type which allows for longer usage and better puffs. However, unlike Green Smoke, V2 Cigs offers both automatic and manual batteries. Here’s what we found after testing them: the long automatic battery lasts about 250 puffs (about 6 hours of standard vaping usage) while the shorter automatic battery lasts roughly 200 puffs (about 5 hours of standard vaping usage). We thought that perhaps the manual batteries would be better but both the long and short manual ones lasted just about the same as the automatic batteries. We would like to report that the responsiveness is stellar, which is a huge positive. It is not standard to see a battery that allows instant vapour. The vapour volume was sensational and extremely satisfying, and delivers from the very first puff. The battery has been tweaked by V2 Cigs engineers. Several years ago, V2 Cigs was having a hard time getting the battery right. However, they have perfected it which allows for an incredible amount of vapour and a high quality throat hit. In fact, the throat hit was really a huge surprise, even though V2 Cigs is a huge brand. Yes, we were expecting a very good throat hit, but not like this. Impressed isn’t even the word. Getting the throat hit just right is the single most difficult part of engineering. Compared to the rest of the competition, both vapour volume and throat hit are notable. Additionally, the charging times are likely the best in the industry. Both the short and long batteries take approximately 2 hours to charge. Years back when we first tried V2 Cigs, we were harsh on V2 Cigs because the battery performance was just a bit above average, We were expecting more from a company with such a presence in the industry. Now? They have delivered in every aspect. V2 Cigs does not disappoint in any aspect when it comes to their flavours. Like Green Smoke, each cartomiser is thoroughly tested before being shipped out. Moreover, you can expect top quality liquid and e liquid from V2 Cigs. 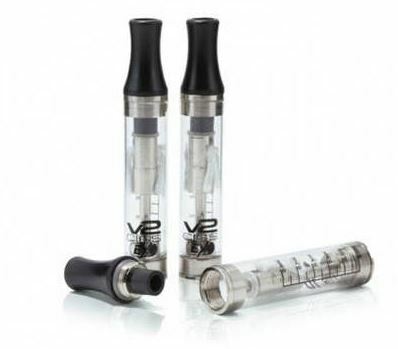 Yes, that’s right – V2 Cigs not only offers pre filled cartomisers but also empty cartomisers and tanks to fill V2 e liquid into. Every cartomiser package has 5 individual cartomisers in them. You can expect each single cartomiser to last about 225 to 250 puffs – again well above industry average. If you fill the empty cartomisers with V2 bought e liquid, the puff amount increases to about 300 puffs. Additionally, V2 Cigs offers the EX series which they claim produces a whopping 400+ puffs. We tried it; it starts deteriorating at about 325 puffs and finishes at 350, which is outstanding. 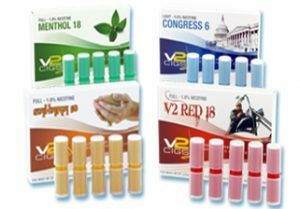 V2 Cigs offers 12 pre filled cartomiser and regular e liquid flavours: V2 Red Tobacco, Congress Tobacco, Sahara Tobacco, Menthol, Peppermint, Cherry, Coffee, Vanilla, Cola, Grape, Chocolate, and Mint Tea. As we noted above, all pre filled cartomisers and e liquids are rigorously tested before being sent to the customer. Due to the intensive testing levels, the flavour and taste is superb. This is obviously a nice compliment to the aforementioned thick vapour volume. You really get a very good amount of satisfaction from V2 Cigs. We would like to mention that it initially seems that V2 does not offer a variety pack of cartomisers with a kit purchase. However, we found that in the end, you can in fact order a cartomiser variety pack with a V2 Cigs kit purchase. When you choose your kit, simply put in the “Comments” box (on the kit page) that you would like a variety pack instead of the flavour you chose. In any event, all of the V2 Cigs flavours were very consistent and pungent. We enjoyed Congress Tobacco, Coffee, and Mint Tea, but as we all know flavours are personal preferences. The only downside to V2 flavours is that toward the very end of its life you will taste a burnt like flavour. This is when you know the liquid within the cartomiser has been used up. V2’s UK branch offers all customer service channels, including telephone, e-mail, live chat and even social media. V2 Cigs is serious about providing unrivaled support. Response times are pretty much instant via phone and you can expect to wait about 2 hours for an email reply during the day and 8-10 hours if you send an inquiry at night. This is because their hours are 9AM-5:30PM Monday-Friday. The service representatives will be able to assist you with any issues you may have. 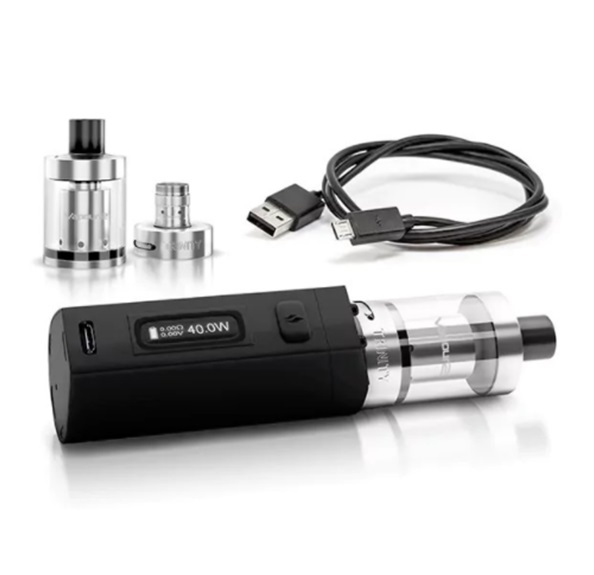 There are a number of other smaller kit options such as the V2 Power Cig for £19.99. This is an excellent choice for people working on a computer all day. Additionally, V2 Cigs offers, in our opinion, the best vape pen on the market which we have reviewed here. V2 Cigs offers a 14 day money back guarantee. If for any reason you are not satisfied, simply return your product to V2 Cigs within 14 days and you will be refunded the full amount – so long as the product is undamaged and in the original packaging. As for their warranty, they have a Pro Limited warranty which essentially covers you for one KIT purchase. 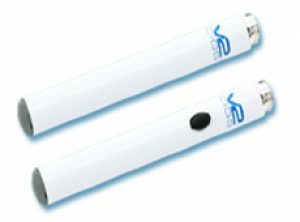 As for returns for UK and EU customers, V2 Cigs replaces any faulty batteries to a maximum of 3 times per order (for up to 3 months) after the initial purchase. Cartomisers can also be replaced as long as no more than 2 individual cartomisers have been used from a pack. If any other product is faulty within 30 days of your purchase, send it back to V2 Cigs for a no quibbles replacement. It must reach V2 Cigs within 40 days for them to test. The excellent part of this warranty though? V2 Cigs covers the cost of postage if the item is faulty. V2 Cigs products are shipped from the UK so that’s a great thing to see. There is a minimal £2.75 in postage costs unless the order is over £57.99 – then shipping is free. V2 Cigs products are shipped via Royal Mail Tracked Delivery or Parcel Carrier, and you can expect the package to arrive within 2-4 working days. 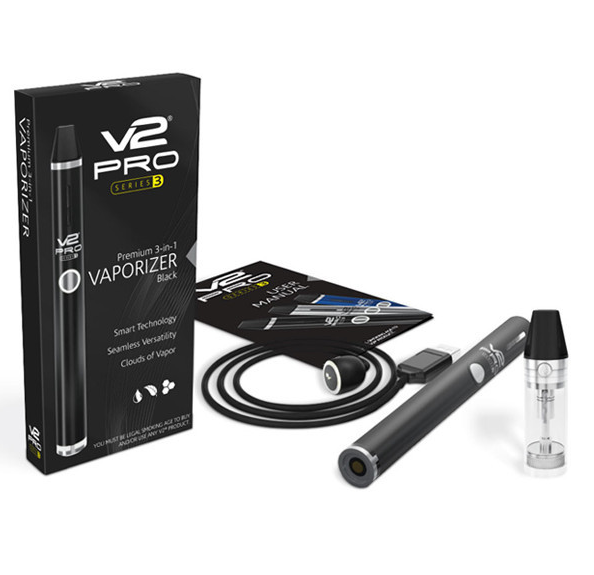 V2 Cigs without a doubt offers one of the highest quality e cigarettes on the market. They are, after all, one of the largest e cigarette brand in the world. Their flavours stand out, especially in regard to the EX series which delivers more puffs than any other brand. The battery performance, vapour volume and throat hit are all better (and more consistent) than other e cigarette brands we tested. The V2 Cigs customer service is professional and their shipping is noteworthy. And the best part about V2 Cigs? There are no shortage of products to upgrade to. Cig-a-likes, shisha pens, vaporizers – V2 Cigs offers it all. In short, V2 Cigs delivers on everything you would expect from a top electronic cigarette company in the UK.